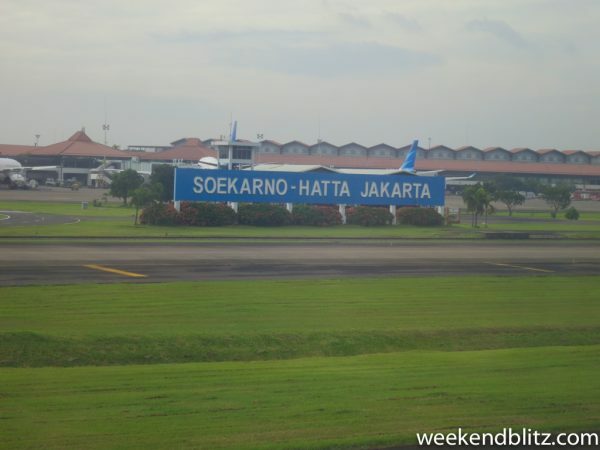 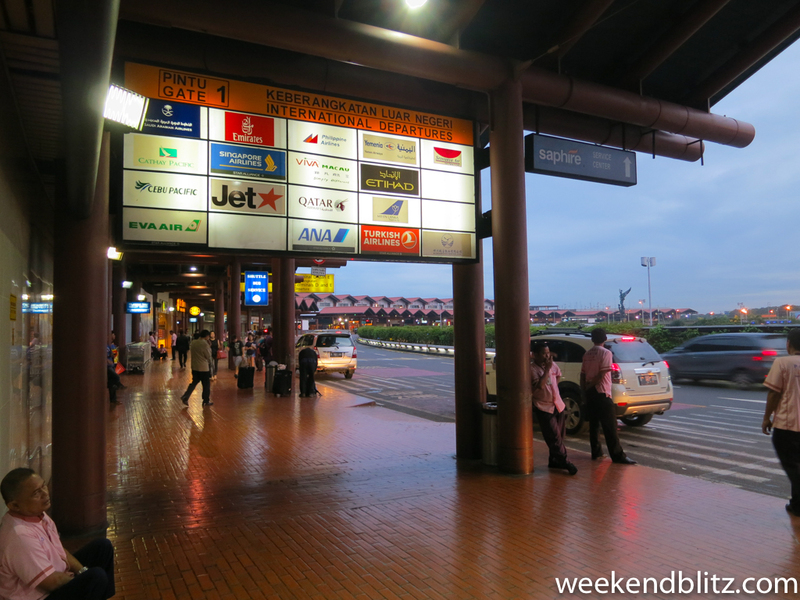 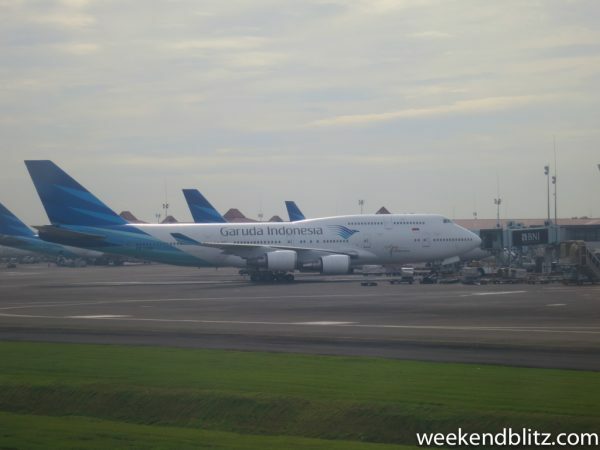 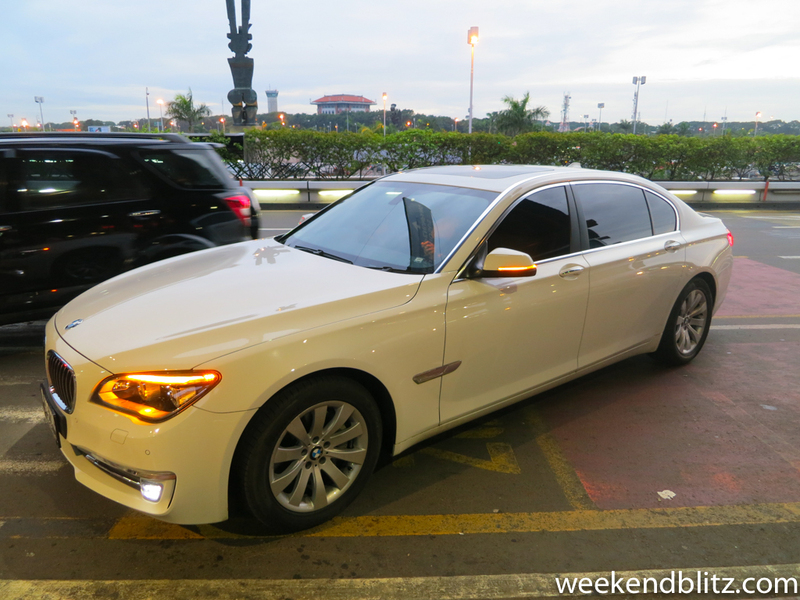 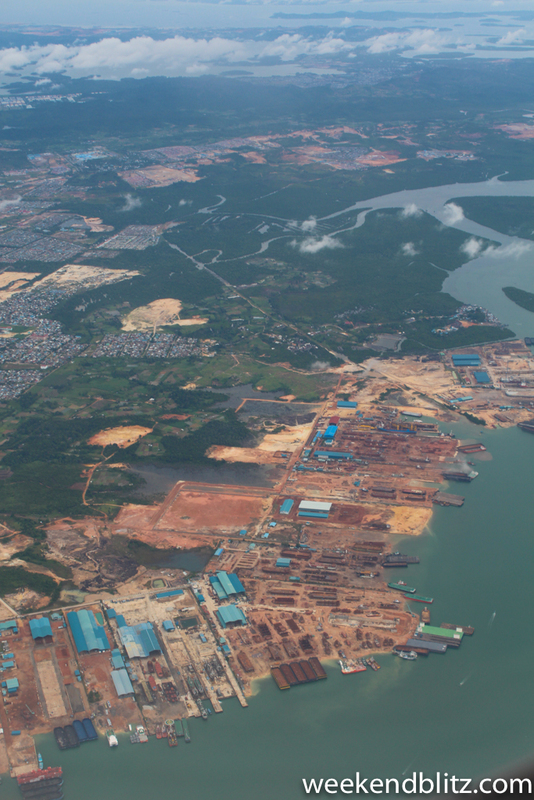 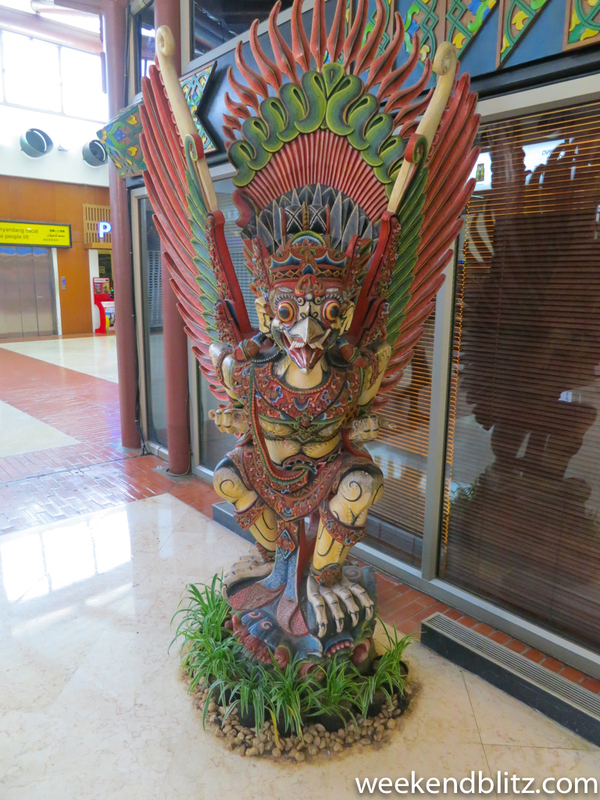 Flying through Jakarta–no traffic this early! 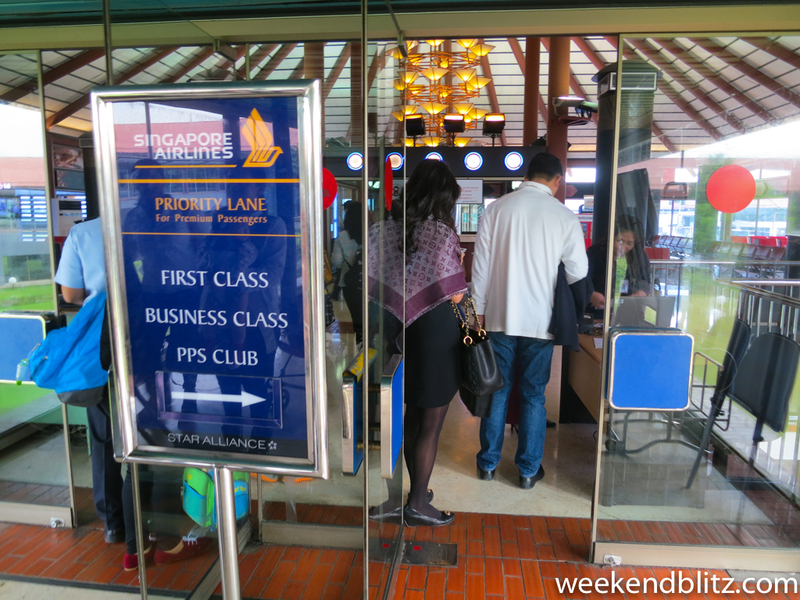 With boarding passes issued and bags checked, we headed through a 2nd and quite thorough security check. After security, we cleared immigration and had to pay the 150,000 IDR departure tax (~$Open Currency Converter Error: Could not fetch exchange rate information US). 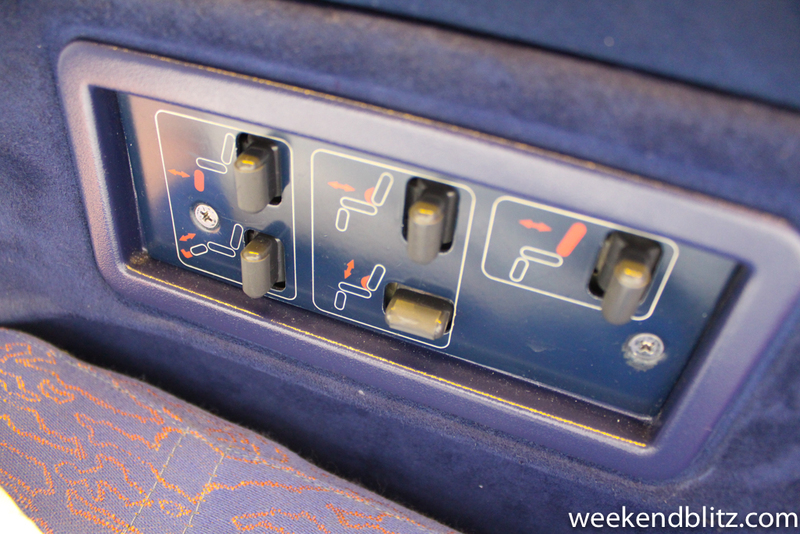 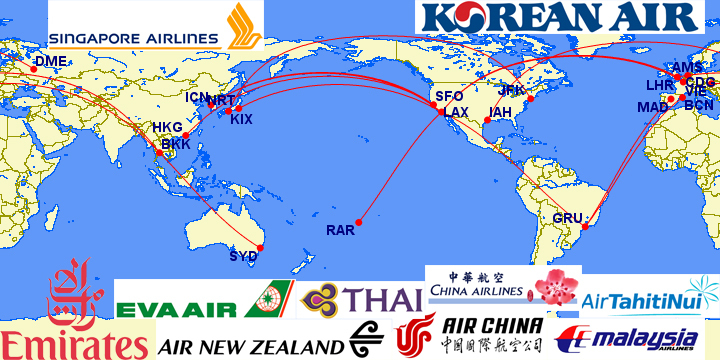 This is no longer necessary, beginning Feb 2015 airlines have been required to include this tax in their ticket prices. 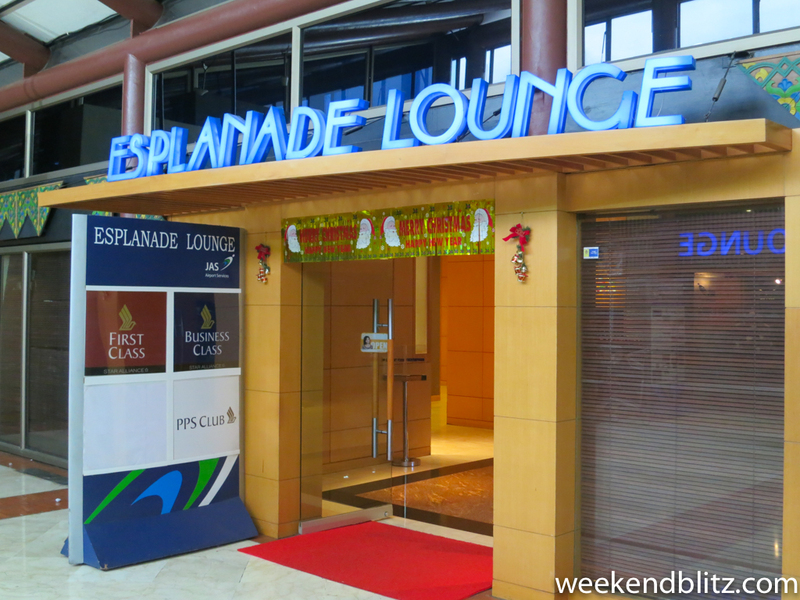 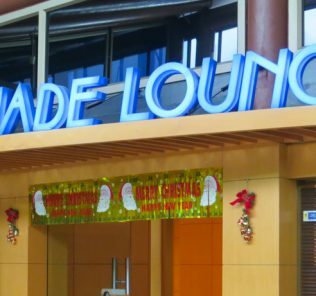 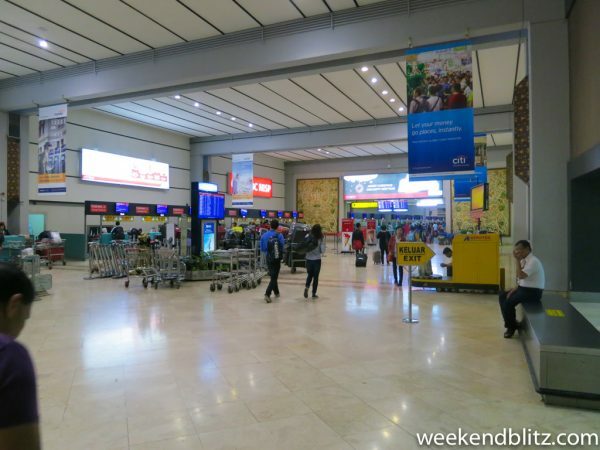 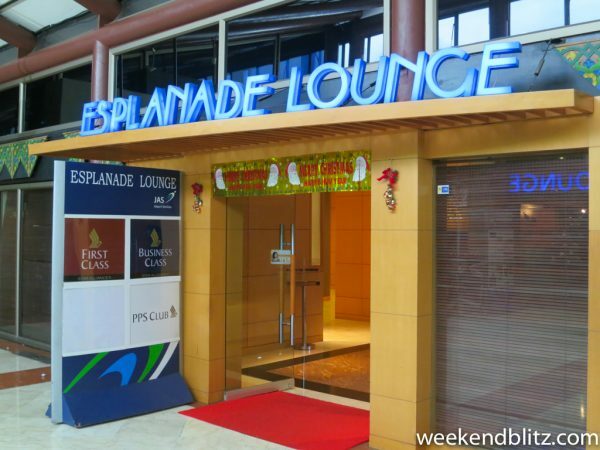 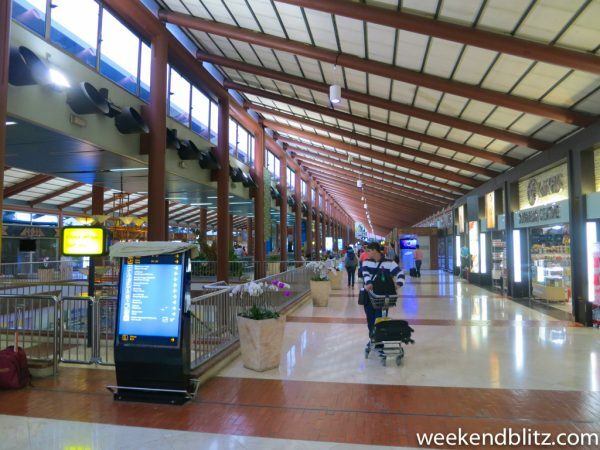 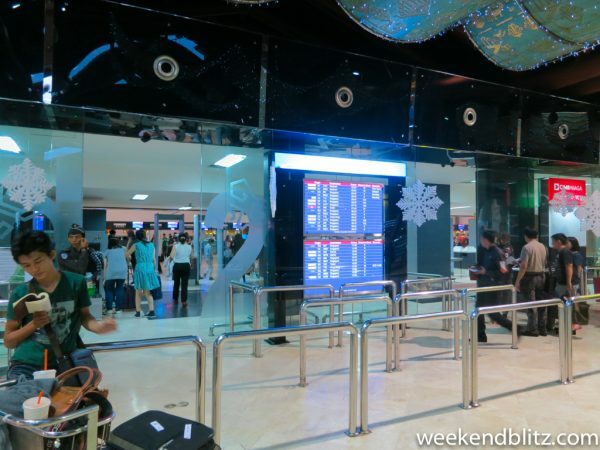 We were entitled to use the Esplanade Lounge, you can find our full review of it here: Esplanade Lounge – Jakarta-CGK International Airport. Around 7:30 am we made our way to the boarding gates. 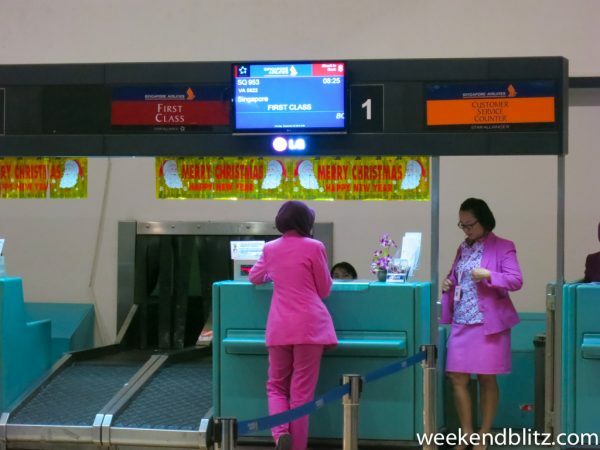 There was a ticket and passport check before gaining entry to the waiting area. 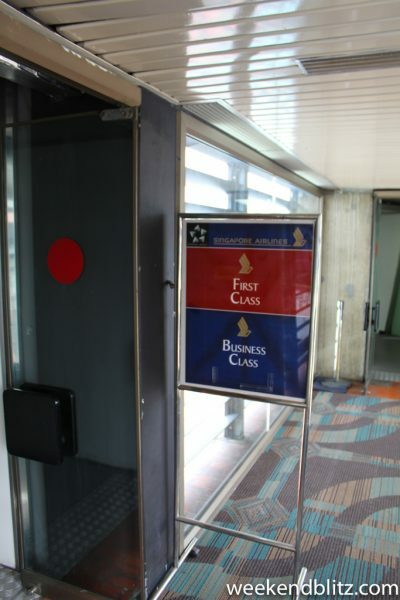 We enjoyed a dedicated boarding door and for just the First and Business Class passengers. 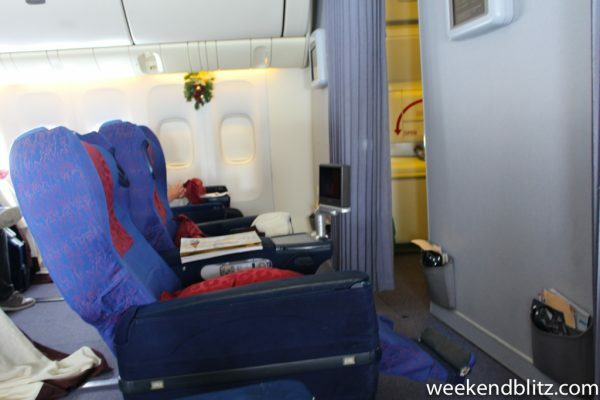 The cabin had certainly seen better days and was far from anything nice or exciting. There was a nice festive touch as they had installed Christmas wreaths throughout the cabin. 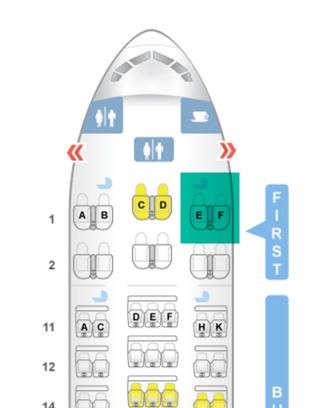 Although the seat is listed as fully flat, it was far from it when we tried it. 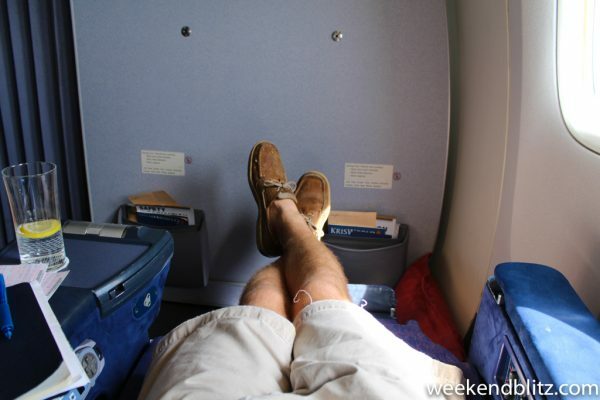 Although it did end up being a decent cradle style angled flat seat and certainly did the trick for our very short ~550 miles (~880 km) and 1 hr 35 min flight! 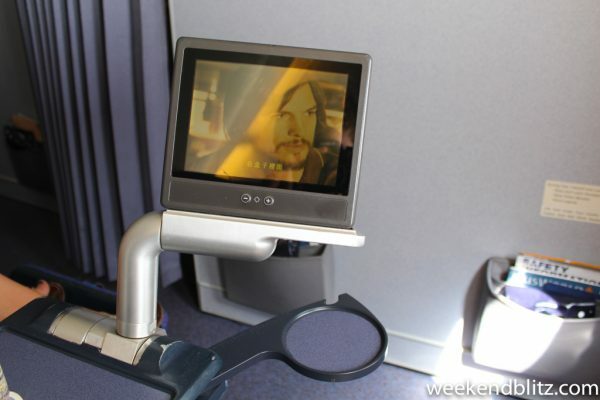 And they certainly weren’t touch screens, it’s all grimy remote control for switching channels. 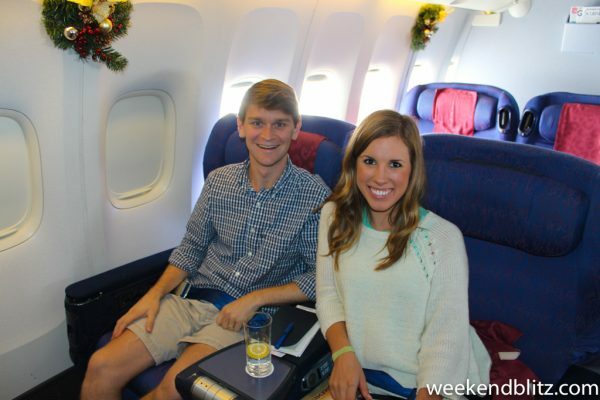 After being seated we were served piping hot towels and pre-departure beverages. 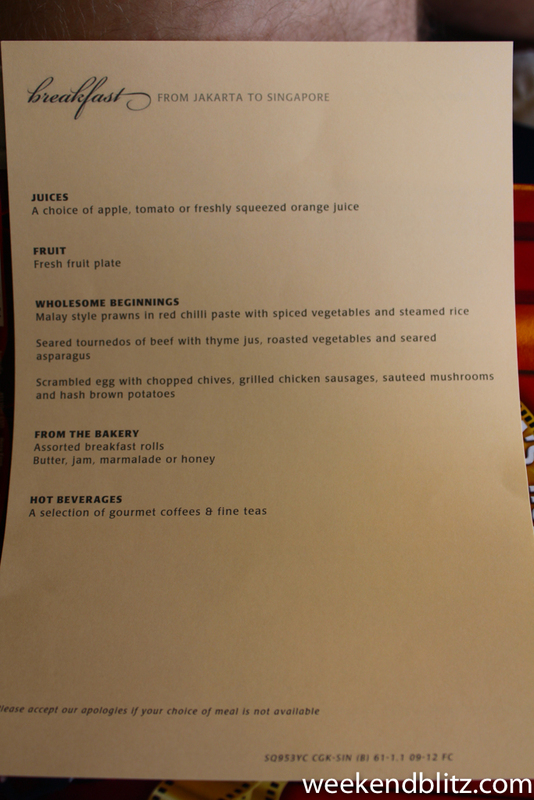 Scrambled egg with chopped chives, grilled chicken sausages, sauteed mushrooms and hash brown potatoes. 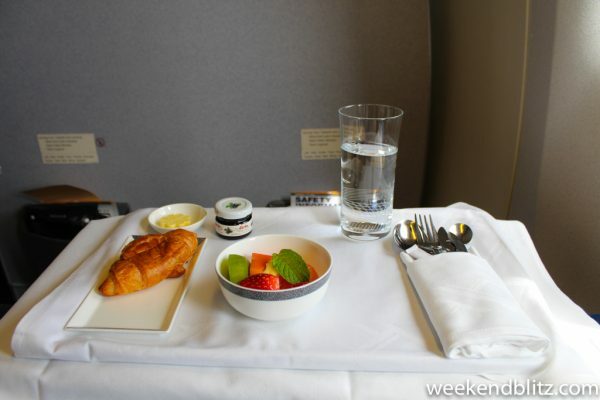 After ordering, the table was set and fresh fruit and pastries were served. 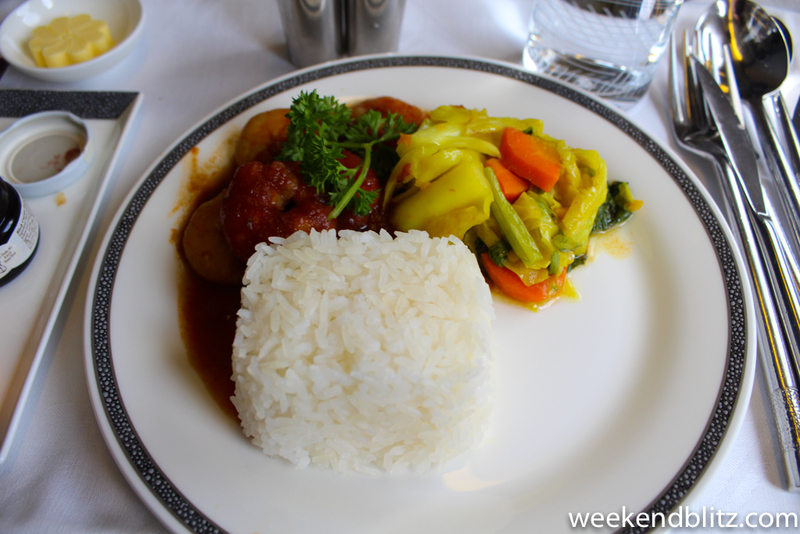 The red chili paste had a healthy amount of heat and tons of great flavor. 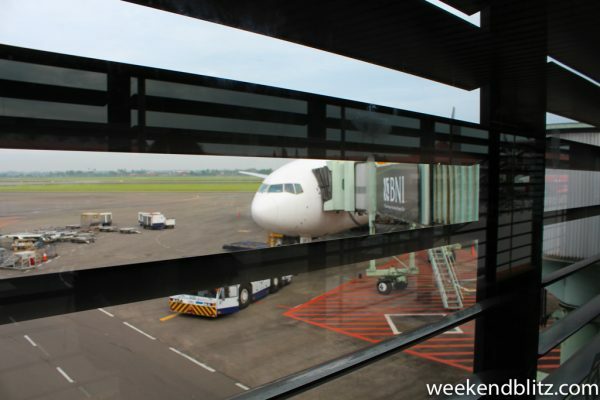 Even with such a short flight, we had plenty of time to window gaze! 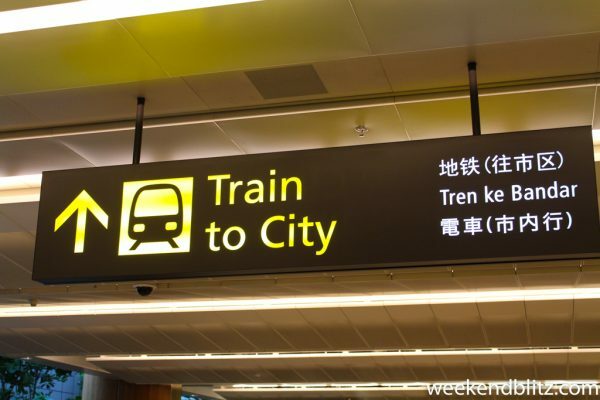 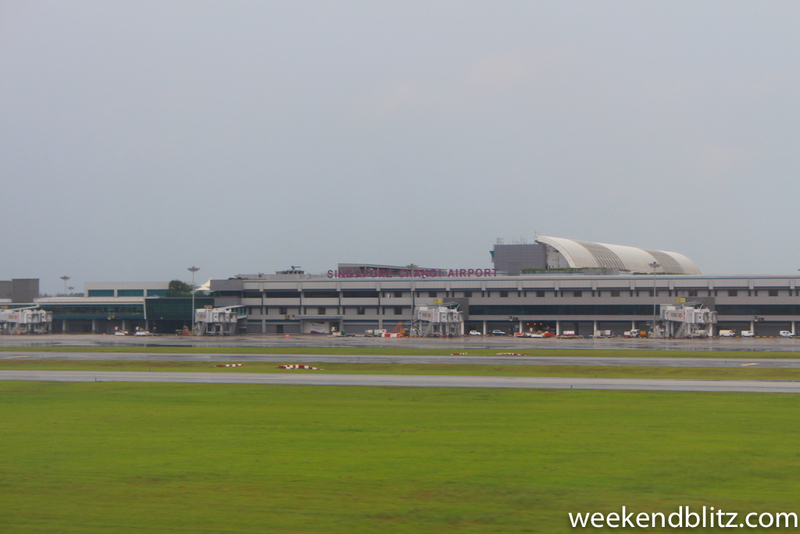 And after about an hour, touchdown at Singapore’s Changi airport! At every encounter, we were addressed by name and found the flight attendants to be extremely professional, courteous and attentive. 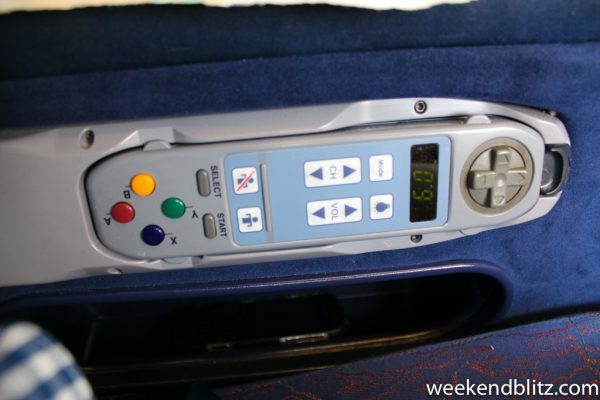 Even where the hard product might have been lacking, they certainly made up for it on service. 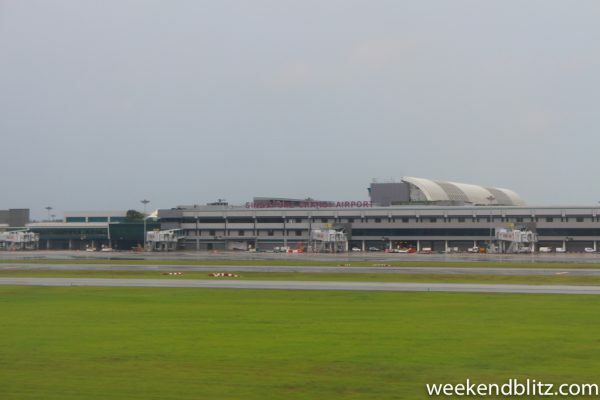 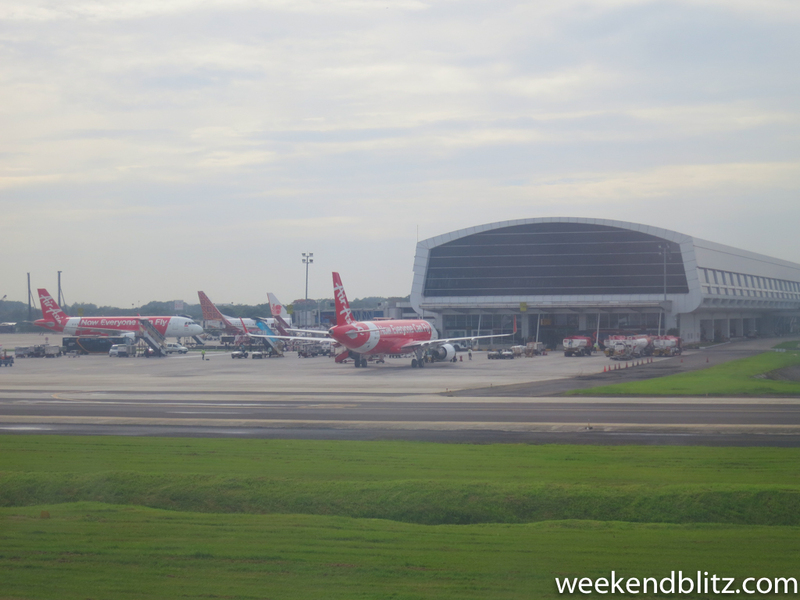 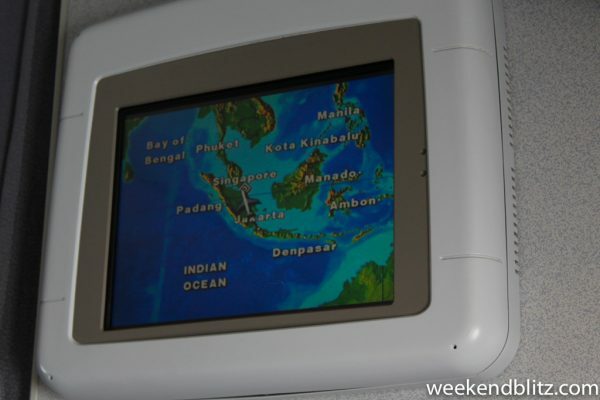 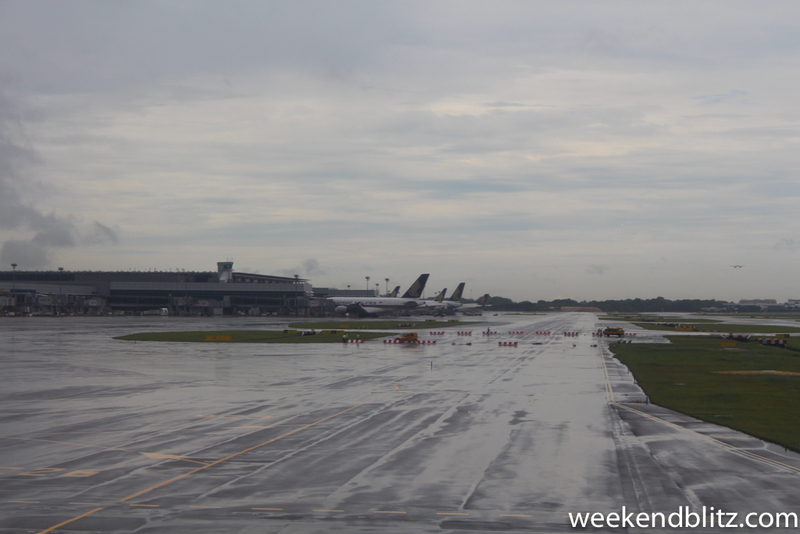 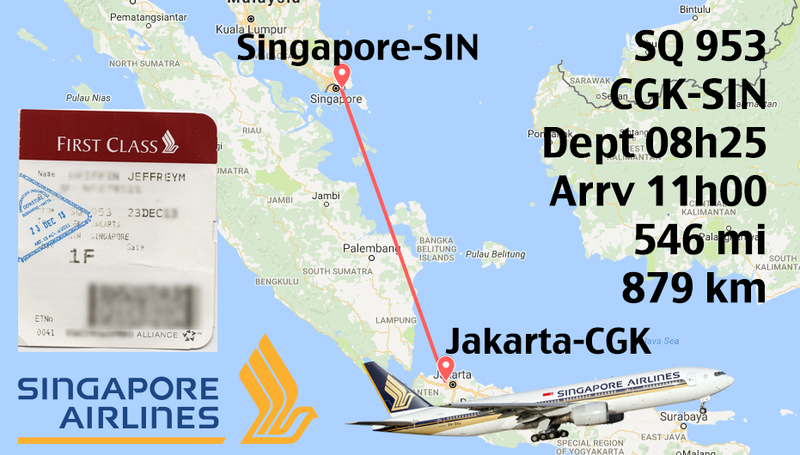 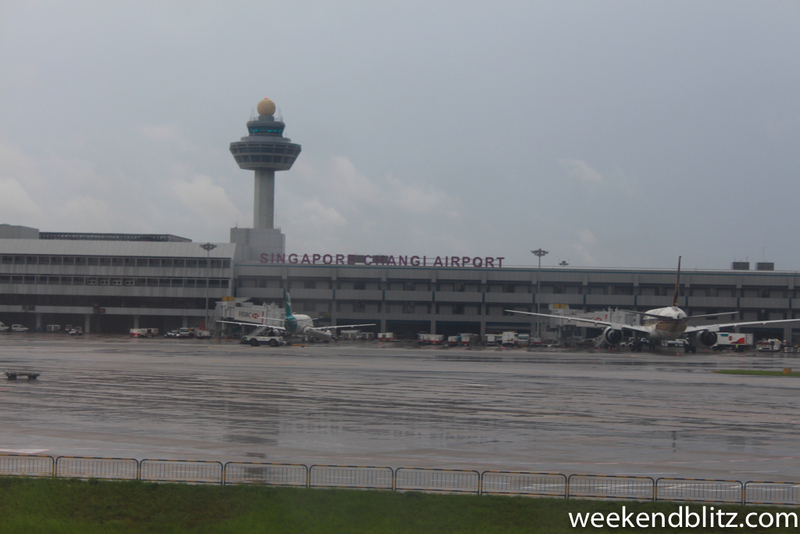 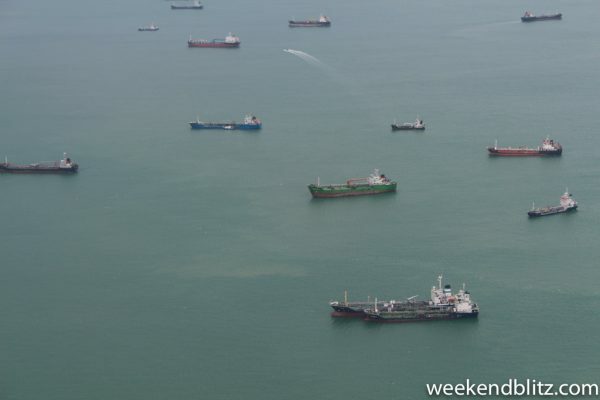 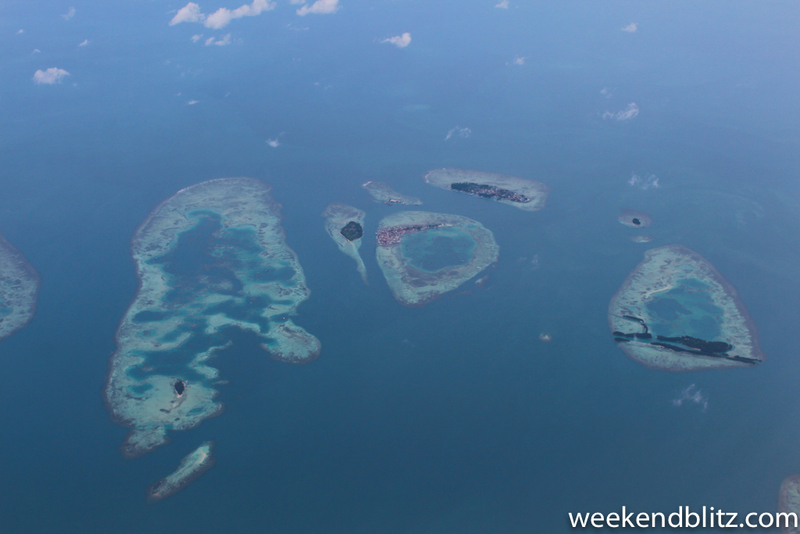 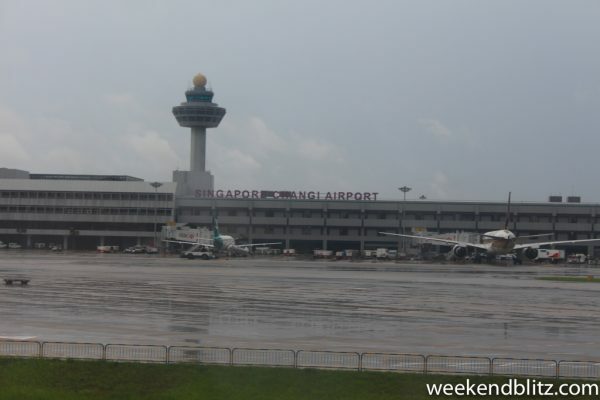 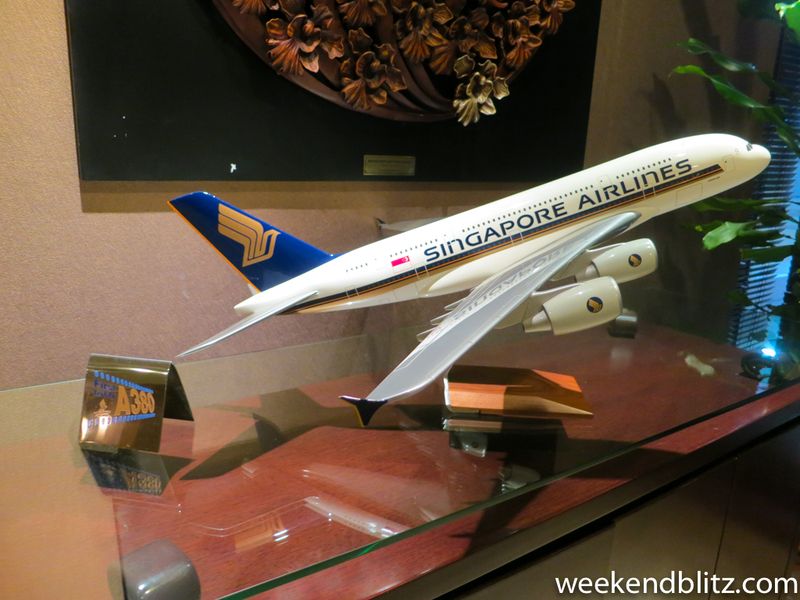 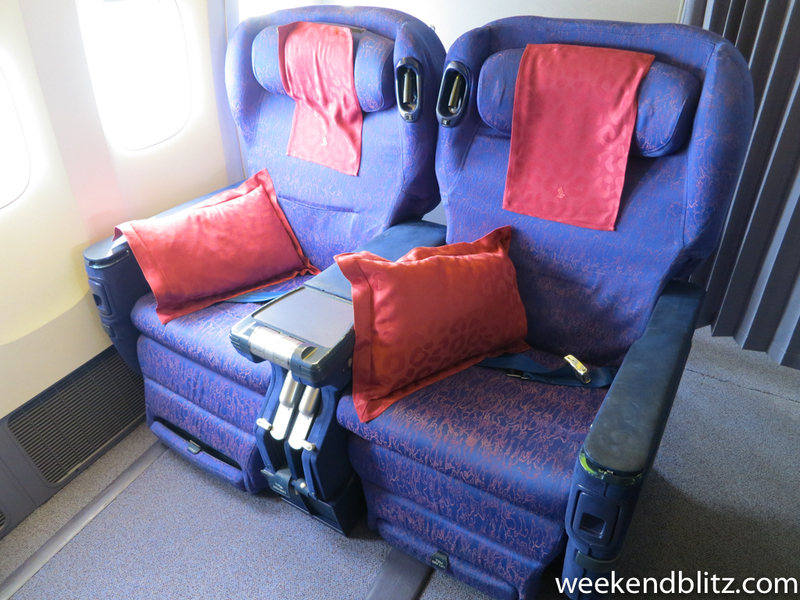 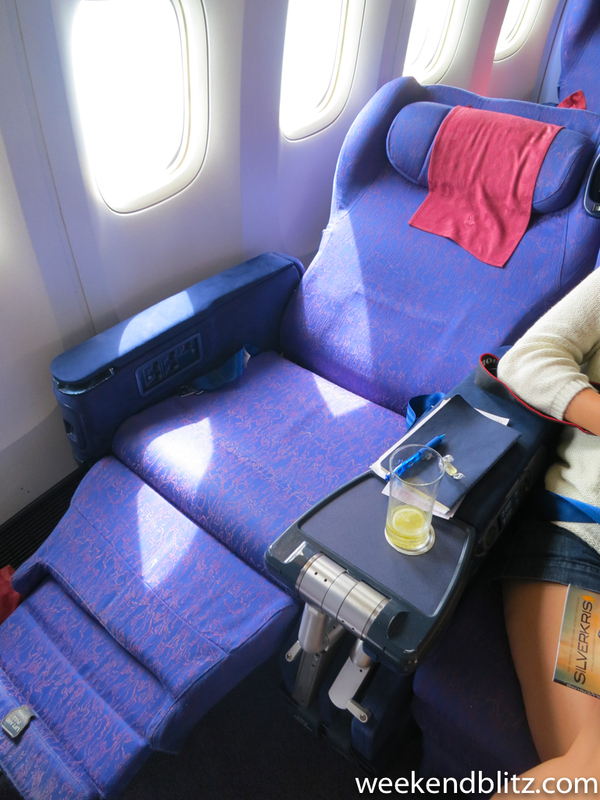 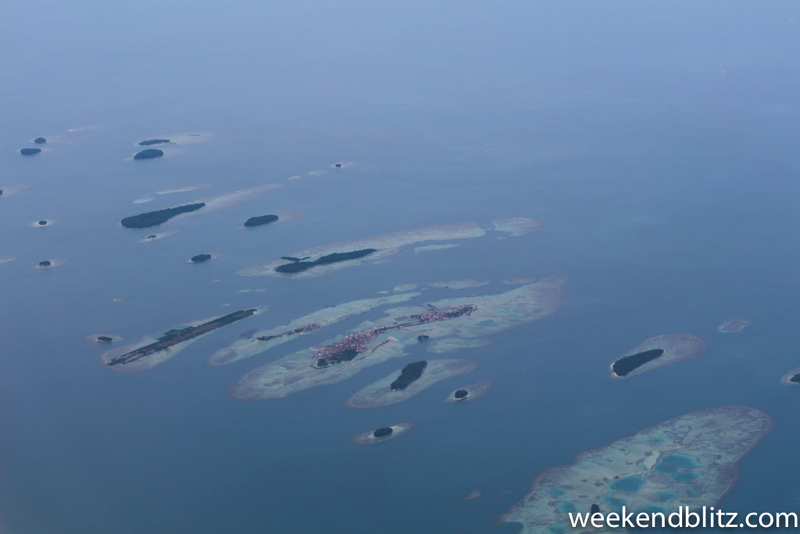 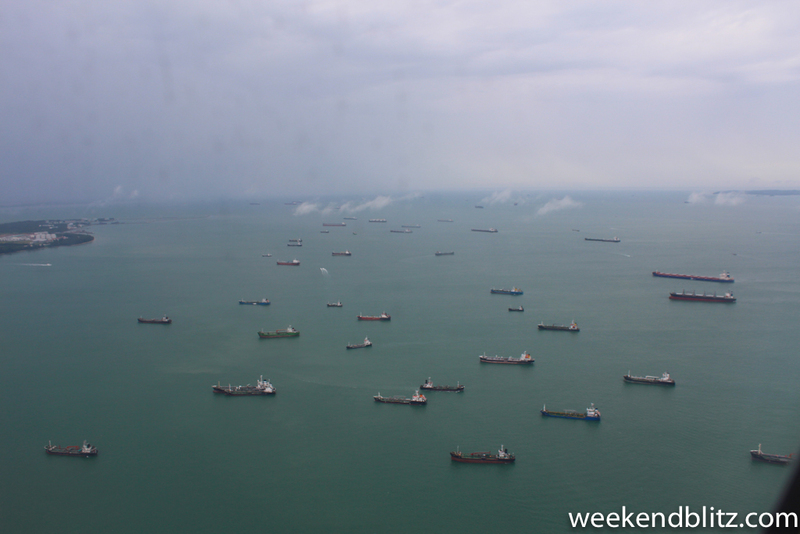 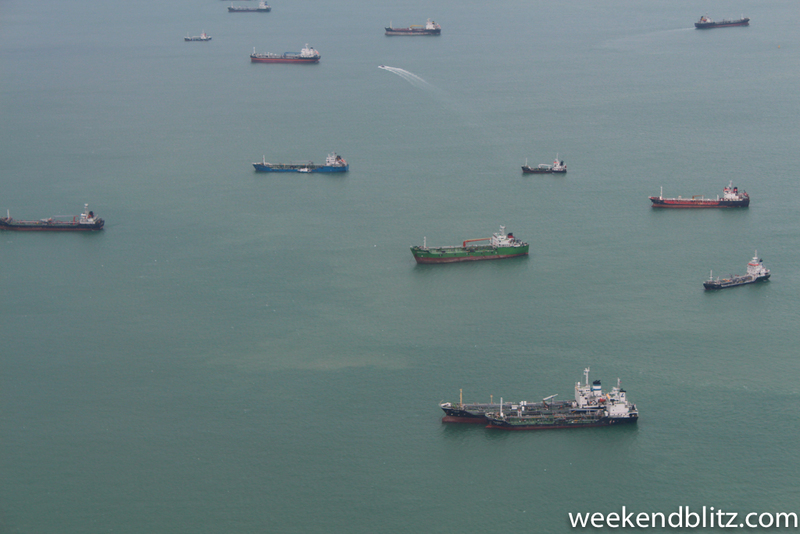 BOTTOM LINE: While it was an old aircraft and a short flight, we certainly got a good taste of Singapore Air’s award-winning service and enjoyed our quick hop over to Singapore.